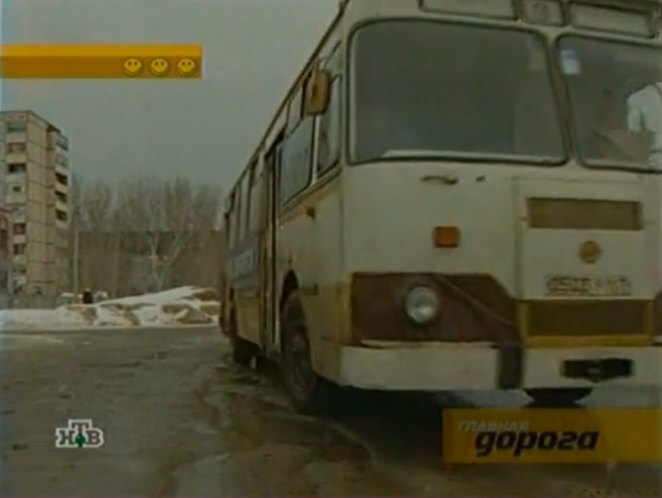 IMCDb.org: 1978 LiAZ 677 M in "Glavnaya Doroga, 2006-2019"
There was Czech LIAZ and Soviet/Russian LiAZ. Not related companies. Why? Czechoslovakian LiAZ did trucks and buses together with Škoda. Full name - Liberecke Automobilove Zavody (Liberec Automobile Plants), this plant is located in the Czech town Liberec. Russian LiAZ produces only buses (in 2005-2012 - also trolley-buses); full name - Likinskiy Avtobusnyi Zavod (Likino Bus Plant), located in town Likino-Dulevo the Moscow region. It's just a coincidence of names.